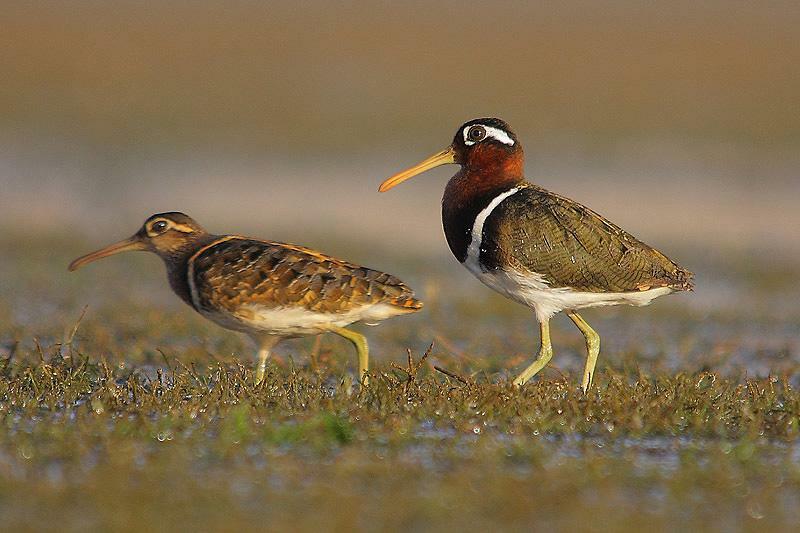 Male (left) and female (right) greater painted snipe Rostratula benghalensis, photographed by Sharad Agrawal. Contains: Burhinidae, Charadriidae, Recurvirostridae, Haematopodidae, Turnicidae, Glareolidae, Laridae, Stercorariidae, Alcidae, Scolopacidae, Jacanidae. The Charadriiformes includes the wading birds and related species. Members of the Charadriiformes are united by the anatomy of the palate and syrinx. They have eleven or ten primaries, a tufted oil gland and a small aftershaft on the body feathers (Austin 1961). The majority of Charadriiformes are coastal or otherwise associated with water, though there are notable exceptions. For instance, the seedsnipe of the Thinocoridae are superficially partridge-like herbivorous birds found in alpine and steppe regions of South America. [B93] Brooke, R. K. 1993. Annotated catalogue of the Aves type specimens in the South African Museum. Annals of the South African Museum 102 (10): 327-349. [HK08] Hackett, S. J., R. T. Kimball, S. Reddy, R. C. K. Bowie, E. L. Braun, M. J. Braun, J. L. Chojnowski, W. A. Cox, K.-L. Han, J. Harshman, C. J. Huddleston, B. D. Marks, K. J. Miglia, W. S. Moore, F. H. Sheldon, D. W. Steadman, C. C. Witt & T. Yuri. 2008. 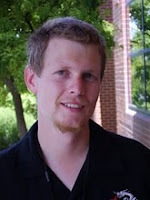 A phylogenomic study of birds reveals their evolutionary history. Science 320: 1763-1768. [LZ07] Livezey, B. C., & R. L. Zusi. 2007. Higher-order phylogeny of modern birds (Theropoda, Aves: Neornithes) based on comparative anatomy. II. Analysis and discussion. Zoological Journal of the Linnean Society 149 (1): 1-95. [M04] Mayr, G. 2004. Tertiary plotopterids (Aves, Plotopteridae) and a novel hypothesis on the phylogenetic relationships of penguins (Spheniscidae). Journal of Zoological Systematics and Evolutionary Research 43: 61-71. [M05] Mayr, G. 2005. The Paleogene fossil record of birds in Europe. Biological Reviews 80: 515-542.